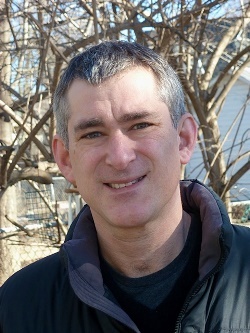 Mark Levine is the author of four books of poems, Travels of Marco, Debt, Enola Gay, and The Wilds, and a book of nonfiction, F5. The recipient of a Whiting Writers' Award, an NEA, and a Hodder Fellowship from Princeton, his poems have appeared in Best American Poetry, Pushcart Prize Anthology, American Hybrid and American Poets in the Twenty-First Century: The New Poetics. A member of the Workshop faculty since 1999, he has also worked extensively as a journalist for magazines including The New York Times Magazine, Outside, and The New Yorker.